Sunday 17 August was one of the hottest days of the summer in the Emirates with temperature reaching 48°C. 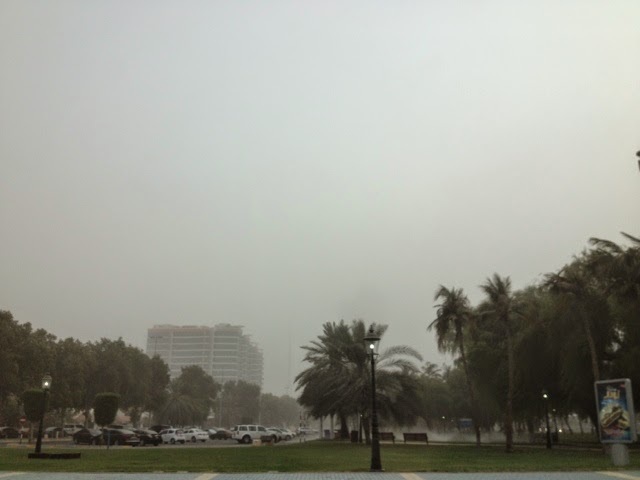 There even was a storm in the afternoon – a proper sandstorm. Of all the photos, the one above was the only one worth publishing. but to complement the picture, here is the article in the local newspapers, more photos, a video from Abu Dhabi and a video from Dubai.